Great athletes and sportsmen/sportswomen come in all shapes, sizes, genders...and age. 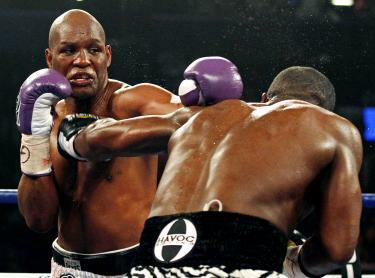 Bernard Hopkins defied his age (of 48 years) again, in winning the IBF Light Heavyweight Championship Saturday night. In a 12-round unanimous decision, Hopkins took a technical approach to out punching his 30-year-old counterpart (and young enough to be his son) Tavoris Cloud. Cloud had been 19-0, but never seemed to be in rhythm in facing the veteran pugilist. Hopkins moves to 53-6-2 and has definitely cemented himself firmly in boxing lore. And he is a worthy winner of the Longhorndave Sportsman of the Week!